Coat of a straight silhouette with Central zipper. Welt pockets, has a hood. Sleeves are setted.The model has a multi-level cut at the bottom, which adds the correct geometry to the image. Colors:red/black, khaki/black, black / red. 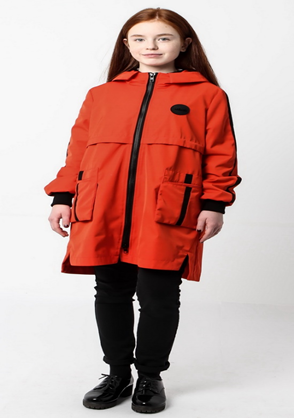 Пальто RIONA CARMEN Russian kids apparel от компании ULMADE, Ульяновске (Россия). Купить Пальто RIONA CARMEN Russian kids apparel со склада. Цена, фото, условия доставки. Звоните!